Last night, I received a call from my teeny tiny cousin in California asking me "What do you use for nails?" Obviously this means she's starting her nail polish/nail design addiction quite early and I was happy to answer her question! 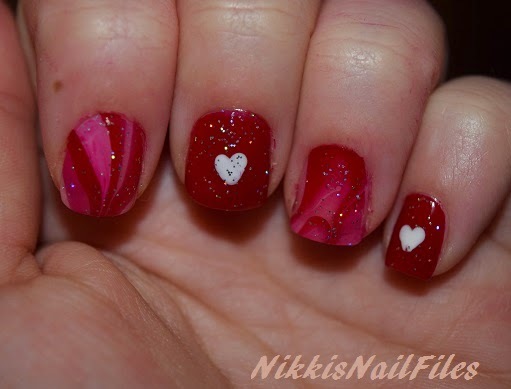 I decided that it was about time to make some Valentine's Day nails what with Valentine's Day coming in less than a week, so I'm making this post to both answer her question AND to show the nails I'll be rockin' for Vday. 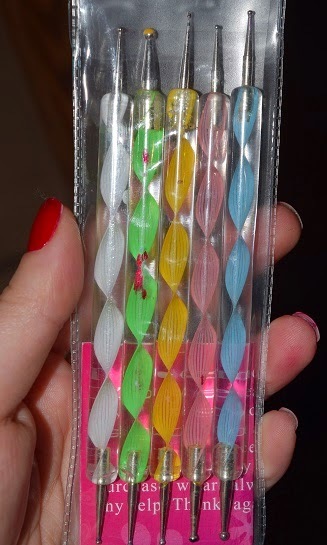 To answer Tahlia's question, to make little hearts on my nails I use a dotting tool that you can find at Sally's Beauty Supply (or an equivalent store) or online. I checked online and it looks like there's a Sally's in your area Aunt Les! If you can find this one it's the same set I have! My set is packaged a bit differently but it's the same product. Each dual-headed tool has dotters in different sizes so you can find the perfect size for Tahlia's little nails! I hope you all have special plans to spend Valentine's Day with those who make you feel special :) Hopefully Tahlia will send me an email or text with a photo of her Valentine's Day nail art! 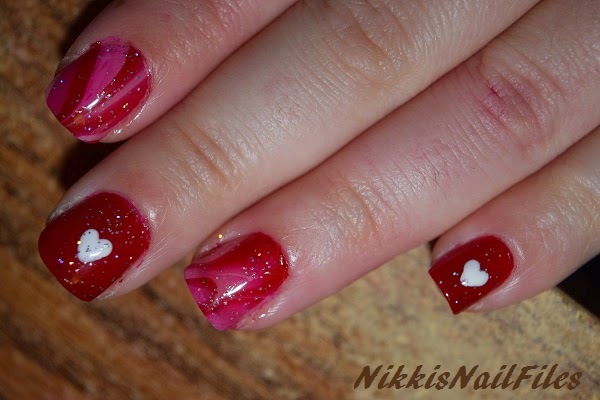 aw this is such a fun cute naive (in a good way) manicure for valentine's day!